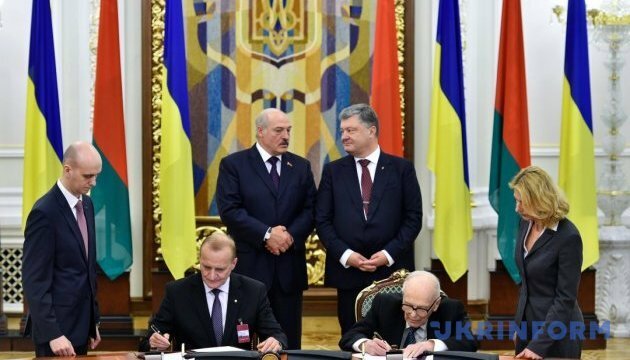 President of Ukraine Petro Poroshenko has once again stated that Ukraine is ready to supply electricity to Belarus. He said this following the talks with President of the Republic of Belarus Alexander Lukashenko in Kyiv on July 21, an Ukrinform correspondent reports. “We’ve agreed on certain steps of cooperation in the field of electricity industry, oil and gas industry. In my opinion, it’s very promising. Also, I’ve confirmed Ukraine's readiness to supply electricity to Belarus and we’ve agreed to consider the opportunities for expanding energy supplies, in particular oil, by using Ukraine’s unique transit potential," Poroshenko said. He also stressed that Ukraine and Belarus have common interest in creating new joint enterprises. "I mean aircraft construction, transport and agricultural mechanical engineering," Poroshenko specified. He also noted that Ukraine is interested in the further development of cooperation in the field of road, rail, and waterway transport services with Belarus.